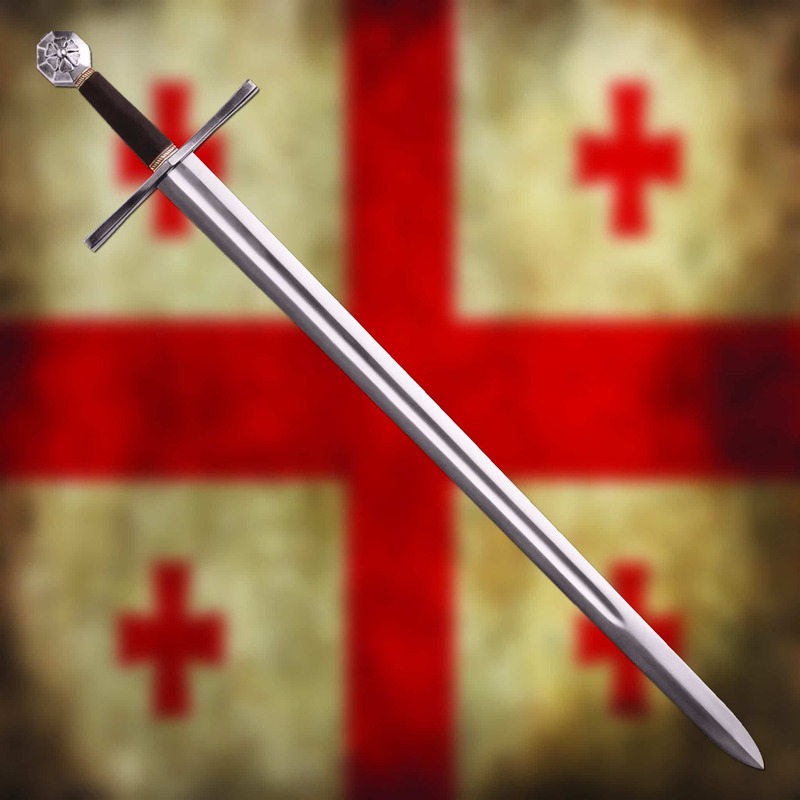 Prince Tancred (Tancrede de Hauteville) was a Norman lord, one of the first to join the Crusades in 1096. He achieved many victories during the bloody campaign and after the fall of Jerusalem he was bestowed the title of Prince of Galilee. 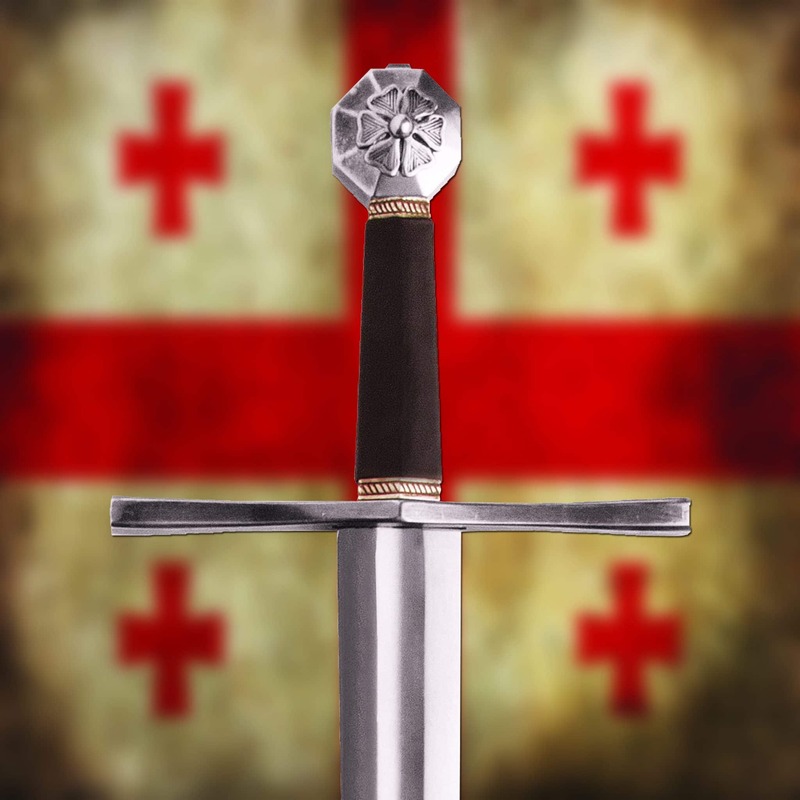 This sword has been researched and chosen from his many exploites. 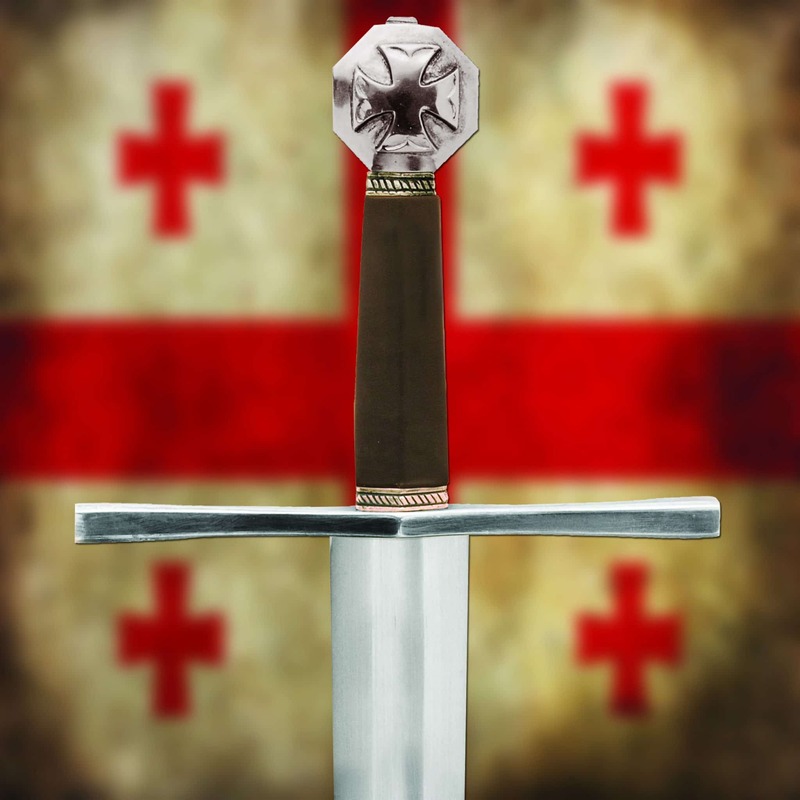 One side of the pommel has a representation of the Nurit flower of Galilee while the other side is adorned by the crusader cross. The hard wooden handle has been covered with soft brown deep stitched leather accented with antique brass details. 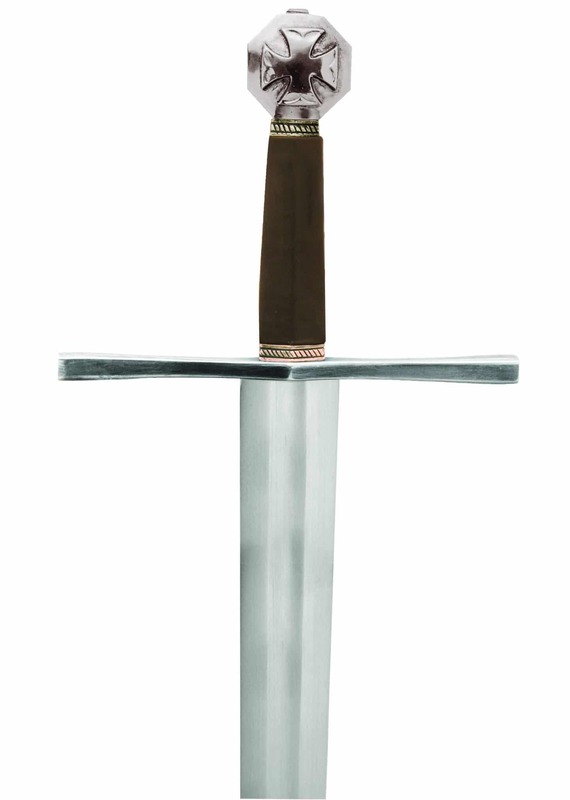 The imposing 84cm x 5cm wide blade has a deep fuller running its length giving it great balance. 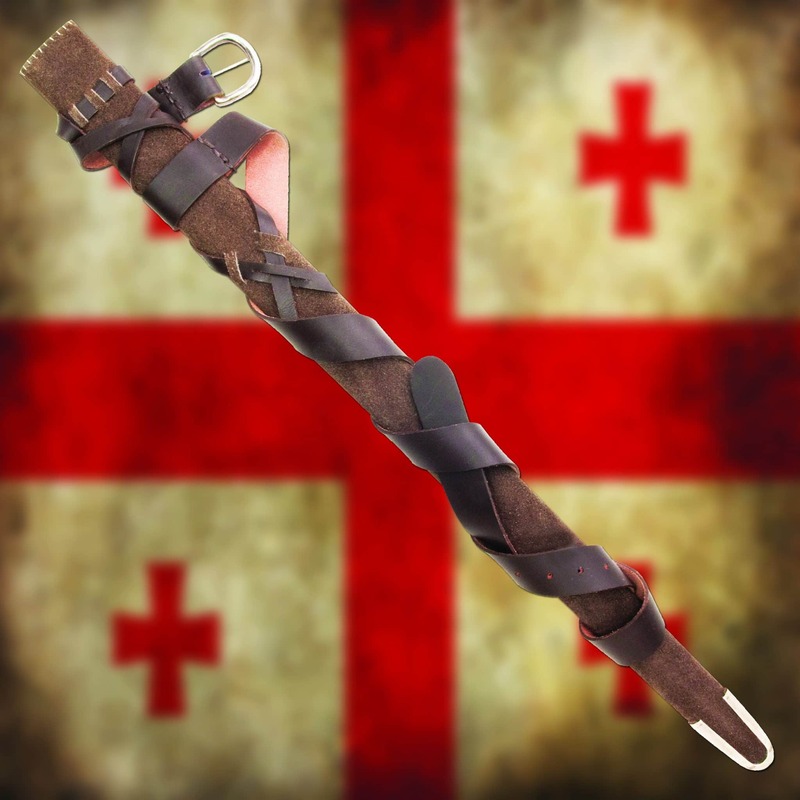 Has a period stitched scabbard in matching brown suede with a long leather belt.